Richard Cordray, President Obama's choice to head the new consumer financial protection bureau, came to Capitol Hill for his confirmation hearings on Tuesday. And, by all accounts, even Republican members of the Senate Banking Committee were impressed. 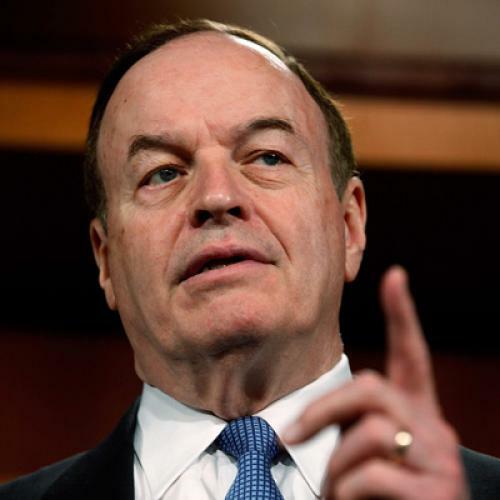 He appeared to be liked personally by [Ranking Minority member Richard] Shelby and Bob Corker of Tennessee, the other Republican at the committee confirmation hearing. The pair and a small group of Democrats -- seven of the 12 on the committee, although their number dwindled to two at times as lawmakers came and went -- praised Cordray's background. They admired his work ethic (his first job was flipping hamburgers at McDonald's, and he would later clerk for two U.S. Supreme Court justices). They even complimented his blond 12-year-old twins, Danny and Holly, who managed to smile through much of the hearing. So is Cordray on track for confirmation? Of course not. As Shelby made crystal clear, he and his fellow Republicans really don't care about Cordray's qualifications right now. They care about the board itself. They don't like it. Until Obama and the Democrats agree to modify it to suit conservative tastes, the Republicans won't vote to confirm anybody as its director. And thanks to the filibuster, which gives 41 senators the ability to prevent votes, the Republicans can have their way. I'm sure that you have a good background ... but you're caught between a big substantive debate. And that's going to have to be resolved, I think, before we move this nomination farther. the constitution gives the Senate the power to “advise and consent” on executive branch appointments. And from the early days of the republic through the end of the 19th Century, the Senate and president fought regularly over the precise boundaries of that power – most famously when the Reconstruction Congress passed a law forbidding then-President Andrew Johnson from removing a cabinet official without congressional permission. It was his decision to flout that law that drew impeachment and, very nearly, his removal from office. But since that time the Senate has deferred more to the president on appointments, partly on the theory that a modern society needs a president who could staff the executive branch with like-minded officials. Although senators have frequently raised substantive and ideological objections to nominees, explicitly or implicitly, they did not engage in such wholesale, blanket opposition to appointments based (explicitly or even implicitly) on governing philosophy. As the Senate's own website confirms, the Senate voted down nominations "only in the most blatant instances of unsuitability." The obvious exception has been judicial appointments. But even those have increased dramatically in the last few years and, besides, those are lifetime appointments to an entirely separate branch of government. Brookings scholar and historian Thomas Mann has called this practice a "modern-day form of nullification." I agree -- and I think it's worth pondering just what that means. The consumer protection agency exists because a majority of democratically elected lawmakers passed a law and a democratically elected president signed it. Now a minority of Senators representing a minority of the country are exploiting procedural rules (i.e., using the filibuster) to prevent that law from taking effect. That's undemocratic. And I mean that with a small "d."
Update: This seems like as good a time as any to suggest you read the manifesto of Mike Lopfgren. It gets at these same issues but has a lot more power, in part because Lopfgren is a veteran Capitol Hill staffer who worked primarily for Republicans.